Stealth (hidden) infections are a major source of fatigue, brain fog, misery, and pain for so many. And yet most doctors either don’t look for them at all, or order the wrong tests which come back negative, and then the patient is told that they are fine, or worse, that it is all in their head! Stealth infections can include Lyme disease (Borrelia), the many coinfections of Lyme disease (Babesia, Ehrlichia, Bartonella, Mycoplasma, Protomyxzoa, etc. ), chronic viruses (EBV, CMV, HHV6, etc. ), mold, yeast (Candida), parasites, and more. These underlying infections don’t usually kill you, they just rob you of your vitality and quality of life. Sometimes these stealth infections are wrongly diagnosed in adults as fibromyalgia, chronic fatigue syndrome, depression, or various autoimmune disorders. Even children can have these stealth infections, and are sometimes wrongly labeled as ADD or behavioral problems. When a child is low in energy, has trouble concentrating in school, has a sudden worsening of behavior, sudden onset of obsessive/compulsive symptoms, has unusual sensory issues, or complains of leg, knee, or foot pain without an injury, it is important to look for these underlying infections which could be causing the problem. Symptoms that could be a sign that you have a stealth infection include: joint pains that may move around over time, muscle aches and pains, leg or foot pain without an injury, headaches, brain fog (trouble thinking clearly or remembering things), flu-like symptoms that come and go, cyclic sore throat, abdominal pain, strange rashes on your skin or squiggly reddish/purplish lines that look like stretch marks, fatigue that is not relieved by rest or sleep, and just generally feeling lousy for no obvious reason! Lyme disease is rampant in Northern California and over most of the U.S. and the world, and yet many doctors deny that it even exists here! 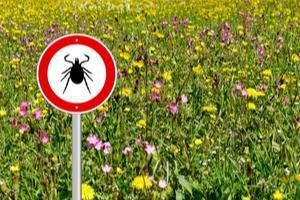 Because Lyme both evades and weakens the immune system, and the usual test for Lyme is a test of immune response, it is inherently tricky to diagnose. We frequently have to challenge the immune system and test more than once to be sure that a negative test is a true negative. 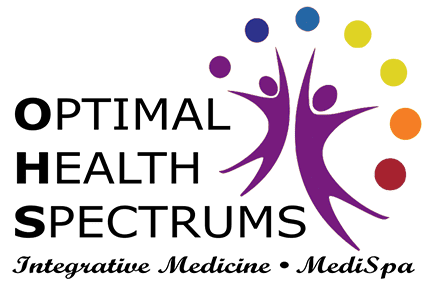 At Optimal Health Spectrums, we treat most stealth infections using mostly a natural herbal approach. This treatment style is gentler, and is safer and less toxic to the gut than using harsh antibiotics. Herbs are also more broad spectrum than antibiotics, and have anti-bacterial as well as anti-viral, anti-fungal and anti-parasitic properties, which makes them ideal for Lyme and stealth infection patients who almost always have multiple infections at the same time. Immune-boosting therapies, essential oils, nanoparticle silver, and ozone treatments are other natural options that can be very helpful. There is no single stealth infection or Lyme treatment approach that is right for every patient, and treatment must be individualized. Sometimes the sicker patients will require prescription antibiotics, antifungals, or anti-parasitic medications, but most of the “walking wounded” do well with a combination of natural approaches.